The Vilnius University, which celebrates its 425th anniversary this year, is the oldest establishment of higher education in Lithuania. Established in 1579, for a long time it became the easternmost European university spreading the light of learning not only to ethnic Lithuania, the multinational Grand Duchy of Lithuania, but also to Central and Eastern Europe. Some works of the University graduates (Mathias Casimir Sarbievius, Kazimieras Semenavicius et al.) exerted influence over the civilisation and culture of the whole Europe. 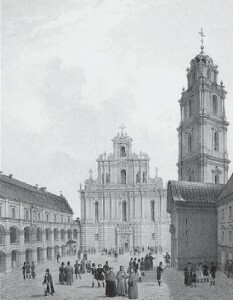 Grand courtyard of Vilnius University and St. John’s Church, as shown in a mid-19th century lithograph. The genesis of Vilnius University was both a consequence of the development of European civilisation and a fruit of the state’s policy. 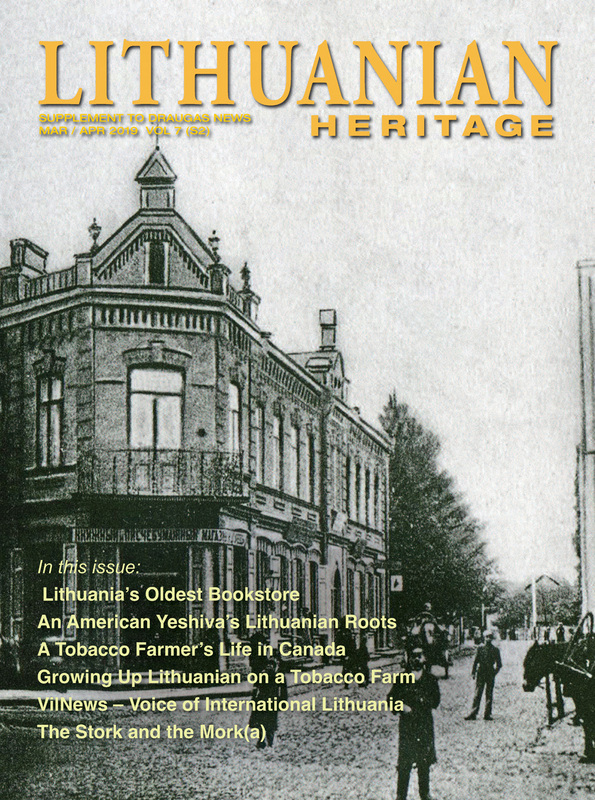 It was a Christian establishment of education, founded just 200 years following Lithuania’s Christianization. Lithuania managed to follow this route – from Christianization to university – considerably faster than a number of other European countries. 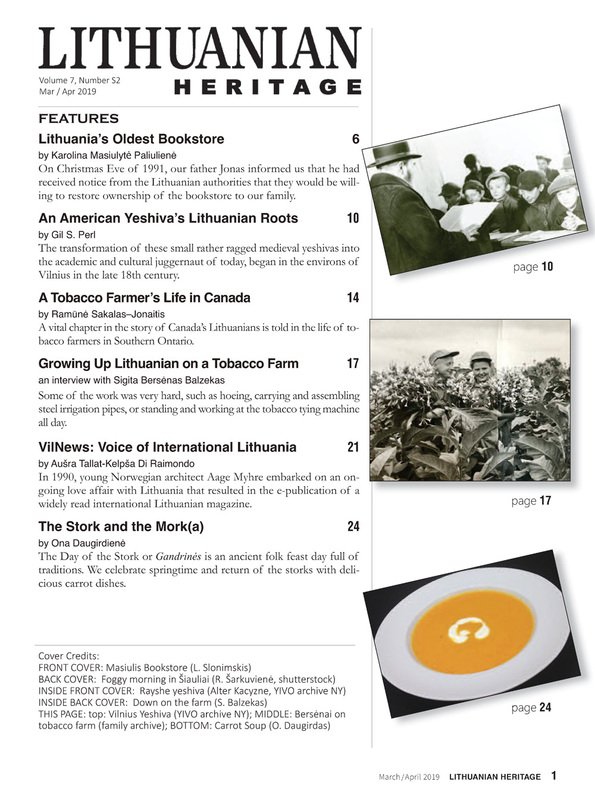 Shortly after Christianization, parish schools spread across Lithuania and in the mid-16th century high schools – colleges – began to appear. The founding of Vilnius University was spurred directly by Reformation and competition among the advocates of Catholic renewal in the field of education development. 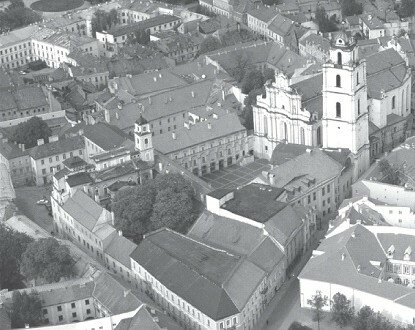 As the Protestants hurried to establish a college of their own, the Jesuits did not wait and, on the initiative of the Bishop of Vilnius Valerijonas Protasevicius, in 1570 founded Vilnius Jesuit College which was soon to be transformed into a university. On 1 April 1579, Stephen Bathory, King of Poland and Grand Duke of Lithuania, issued a note of privileges for the opening of Vilnius Academy. On 29 October of the same year, Pope Gregory XIII issued a bull that confirmed the transformation of Vilnius Jesuit College into a university, officially named Academia et Universitas Vilnensis Societatis lesu. 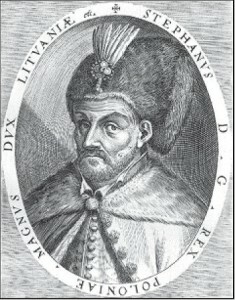 Petras Skarga became the first rector. At the very beginning, the Faculties of Philosophy and Theology were opened. The University became entitled to granting degrees (bachelor, master, doctor) in “theological, metaphysical, physical and logicalsciences”. 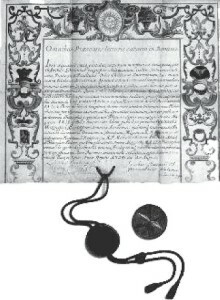 In 1641, King Wladislaw Vasa signed a privilege for establishing the Faculties of Law and Medicine. The University’s emblem and some of the main buildings in a 17th century etching. The level of education at Vilnius University equalled the universities of Prague, Krakow, Vienna or Rome. The subject of modern scholastics was receptive to the ideas of the Renaissance epoch. The University’s theologians were also engaged in missionary activities. The 17th century martyr Andrius Bobota was the only graduate of Vilnius University to be declared the second saint of Lithuania (after St Casimir). Crowned with laurels for his poetry by Pope Urban VII in 1623, the poet Mathias Casimir Sarbievius taught rhetoric, philosophy and theology at Vilnius University and became the dean of the Faculty of Philosophy and Theology in 1633. On 1 April 1579, King Stephan Bathory issued a decree authorizing the creation of Vilnius University. 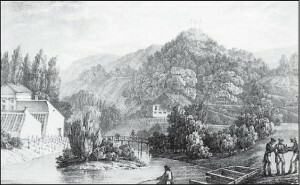 An early 19th century lithograph shows the University’s botanical gardens. A master’s degree in philosophy diploma awarded by the University to Henricus Lelheffel in 1728. ABOVE: The University’s astronomical observatory, founded in 1753, is one of the world’s oldest. 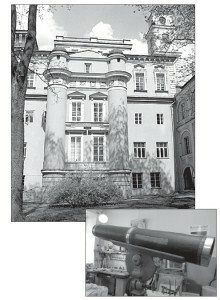 RIGHT: The observatory has the oldest telescope in Lithuania. The wooden instrument was donated to the University by the statesman and collector Mykolas Jeronimas Radvila (1744-1831). It has recently been restored.